Fall Rag Banner - Home. Made. Interest. 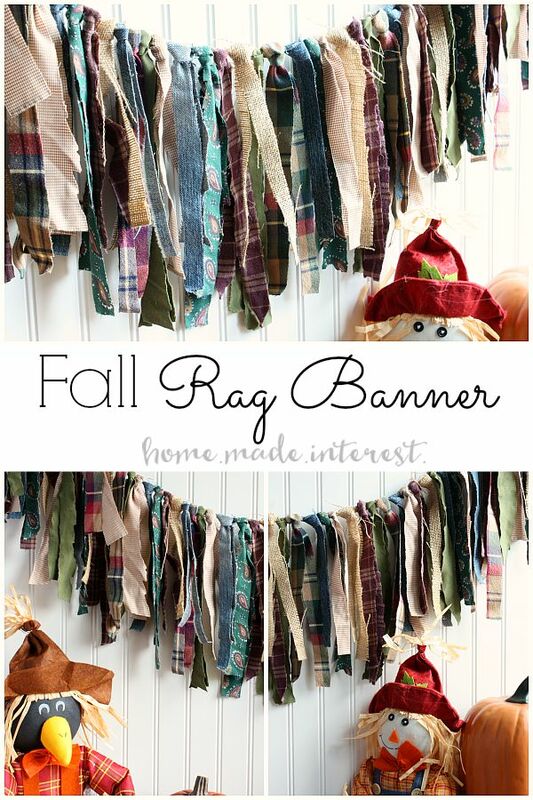 This simple Fall Rag Banner is an inexpensive way to decorate your house for fall! It’s Fall Y’all! It has just started to cool down here and we’ve had some gorgeous fall days. I love this weather! If only it stayed this way instead of getting cold. This weekend was gorgeous and it inspired me to get the house decorated for Fall. 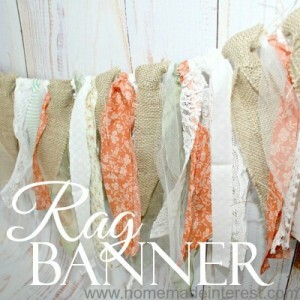 I’m not sure if you know this but I’m all about rag banners. 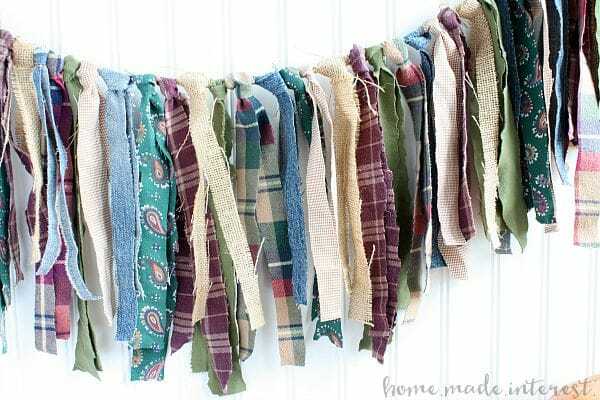 They are so simple to make and they have that shabby chic charm I love so much. 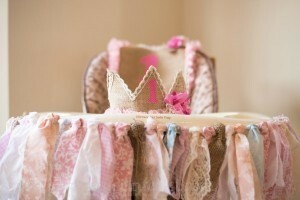 I’ve made one for a friend’s daughter’s 1st birthday and one for a friend’s son’s rustic wedding. This time I made just for me! 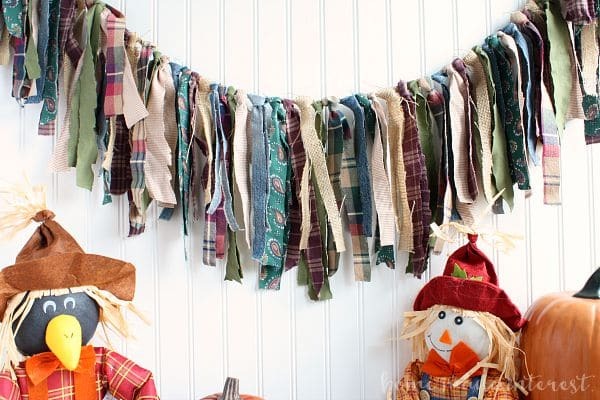 When I think of fall I think of fabrics like burlap, denim, and flannel. I love the mix of colors and textures. 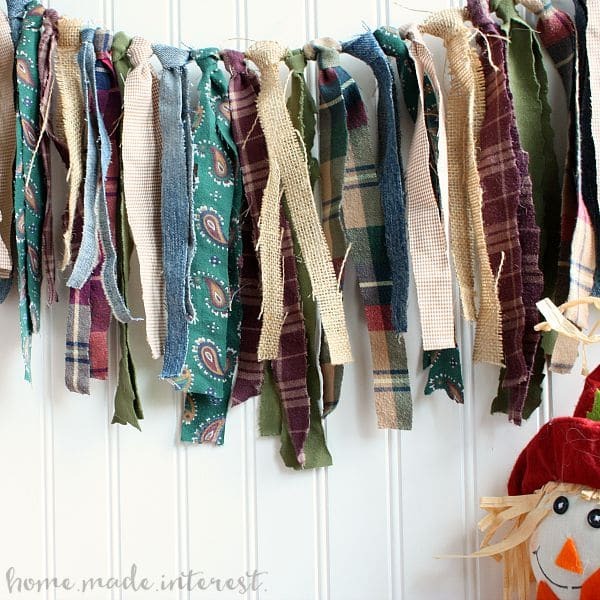 I also love that all of those fabric are easy to come by. This rag banner was super inexpensive to make because I didn’t have to buy anything. I went through my dad and husband’s closets in search of old flannel shirts and jeans that they don’t wear anymore, and of course I always have a stash of burlap. I came away with more fabric than I needed! Cutting the fabric into strips was the hardest part. I thought my hand might fall off from cutting all of that denim. The actual making of the rag banner was super easy. Since I’ve made a few of these you can find my tutorial here. I absolutely love how it turned out. It is hard to capture in a photo but the colors, and the different textures of the fabric look so good together and it just feels like fall with all of that flannel and denim. I may leave it up until Thanksgiving! If you are as crazy for rag banners as I am make sure you check out some of the other banners I have done!